Looking to paint your home a new color? If you want to make your home look trendy, check out these top exterior paint colors of 2018. Are you looking to repaint your home? If so, you’ve got a big decision to make. Choosing the exterior paint color for your home can be nerve-wracking, and even overwhelming. Unlike the interior of your home, the exterior only needs one color, so you’ve got to settle on only one. Don’t take this decision lightly–you’ll be looking at this color every time you drive up for many years to come. While bold exterior paint colors have been all the rage in the past, neutrals are receiving the most attention these days. But which ones are the trendiest this year? Keep reading to find out. Produced by Behr, this paint color offers a lovely grey-beige color. Off the Grid Greige (T18-08) will give you a stunning look that won’t draw so much attention that it’s distracting. This paint color is definitely neutral, but it’s a bit darker than many others on the scene. This gives your home a chance to be a little bold while also silently providing the benefits of a neutral color. To help set it off, consider adding a different, lighter color for the trim around the exterior of your home. Soft Focus (T18-09) pairs great with Off the Grid Greige. Benjamin Moore’s Distant Gray OC-68 offers a beautiful neutral color that grabs attention because of its smooth, clean appearance. Close to a white than Off the Grid Greige, it makes for a very sleek-looking home. Since this color is so close to white, you may want to add some bold accent colors. At the very least, some lightly colored shutters or a front door will add some interest to the exterior of your home. This color can definitely be used on its own, though, for a totally clean, elegant look. If you like the slightly darker hue of Off the Grid Greige but the look isn’t quite right, check out Clark+Kensington’s Adobe Hut N-C3. It’s also a darker grey-beige color, and it will look great on any home. This color goes well with many others, so it’s likely to pair nicely with your roof and other home and yard elements. If you’d like to add a pop of color without choosing an accent hue, add some colorful flowers or bushes. While choosing an exterior paint color is fun, make sure you take the rest of your home into consideration. No matter how nice the color is that you chose, it won’t look great if it clashes with your brick or roof shingles. Country Cream 40YY 72/164 is a nice, soft yellow color offered by Glidden. It’s perfect for anyone looking for subtle mixed with a bit of color. Many neutral house paints stick to the greige side of things. Step out of the box a little with this yellow tint. This color looks great with white trimmings. The pairing gives your home a great look without being too in-your-face. This color from Valspar offers a nice, subtle color that still has a bit of a punch hidden within. It’s something like a mix between a greige and light yellow-brown hue. Thanks to this, you get the benefits of having a nice greige, but it pops a bit more, thanks to the ivory tones. Pair it with a color like Valspar’s Lake Breeze for your front door for a truly homey look. If blue strikes your fancy, Valspar has another great paint option for you–Coventry Blue 4005-5C. This paint color offers the perfect combination of bold and subtle. Many bolder houses can make a house stick out like a sore thumb. This one makes it stand out in a good way, instead. This color looks especially nice with darker woods. So if you have, or are considering adding, wooden window frames, garage doors, or a front door, keep this in mind. Sherwin Williams’ Neutral Ground SW 7568 takes us back to the light greige-type color. This color comes in lighter than Off the Grid Greige, but darker than Distant Gray. So if you’re looking for something between those two, this paint color is the answer. Neutral Ground looks great when paired with a pure white paint for trimming. If you liked Coventry Blue, try this one on for size. This Sherwin-Williams color (SW 0019) is absolutely beautiful, providing an ocean-esque feel to your home. If you’d like your house to feel like a beach house, don’t hesitate to get more familiar with this color. It provides a subtle but clear aqua color that’s sure to grab attention–in a good way. If you like the aqua look but want something a bit bolder, go for Behr’s Blue Sarong P490-2. This beautiful blue color will really turn heads, but not so much that they wonder what you were thinking. The darker, rich hue of this paint looks great paired with a bold, bright white. To make this color even more fun, consider adding a boldly-colored door, too. For a nice, neutral green exterior paint color, choose Environmental PPU11-9, by Behr. This color offers a perfect combination of low-key feel-good vibes and a punch of color. If you have a lot of green foliage, your home may get lost a bit in all the green color. So add some white trimmings and some vibrantly-colored flowers for contrast. 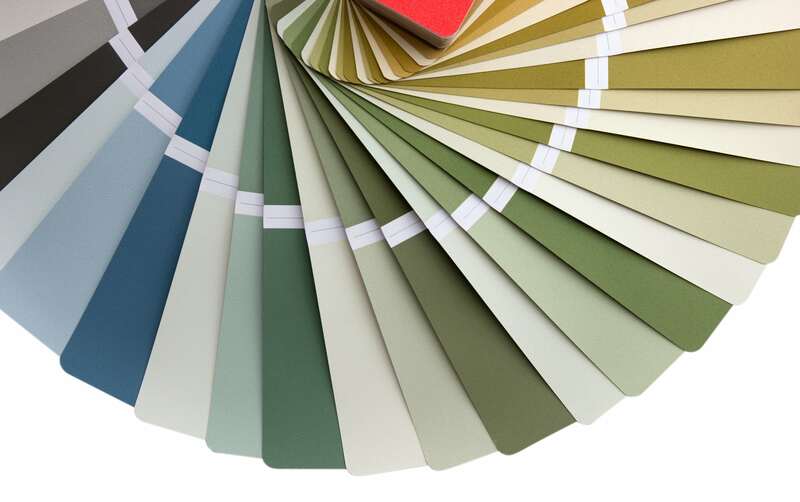 There are so many gorgeous exterior paint colors to choose from for your home. That means you won’t have to settle when it comes to finding the perfect match. Keep these colors in mind as you compare your options. Choose one that fits your tastes, your neighborhood, and your home. Once you’ve chosen, we’ll help you apply your new color. We can even help you choose if you would like. Contact us today to get started! © 2019 Alan's House Painting.